What Are The Advantages Of Borrowing At OMLP2P? We are a leading peer to peer lending platform offering low interest rates without any hidden charges or costs. We follow a process-driven approach that is fully transparent. Less documentation and quick assessment and fast loan disbursement are some of our added advantages. For Which Purposes Can I Apply For A Loan? You can apply loans for your personal as well as business requirements. It can be a short-term or a long-term loan and for a range of purposes such as debt consolidation, home improvement loan or loan for a holiday. 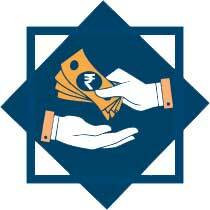 You can get quick loan online for any value between Rs. 25,000/- to Rs. 10, 00,000/- (in multiples of Rs. 5,000). 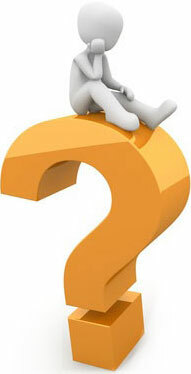 Why Should I Pay the registration fees Before Getting A Loan? We charge a one-time fee on registration for backend processing, credit scoring and assessment, and to maintain your profile data on our system. How is the fee structured at OMLp2p? A one-time non-refundable registration fee is charged from the borrower for completing the verification process. A processing fee is charged from borrowers after their funding is committed.The fee is payable before the documentation process starts. The amount of the processing fee depends on the risk categories assigned to the loan transaction as indicated below. For more details, please visit: Fees & Pricing. How do investors and borrowers connect? We ensure both the borrower and the investor are e-connected. We keep their OMLp2p accounts updated, 24x7. What Can Be The Maximum Tenure Of My Loan? Currently OMLP2P facilitates loans for tenures of 3, 6, 9, 12,18, 24, 36 months. Can I Prepay My Loan? Are there Any Charges For Prepayment Of Loan? Yes, you can prepay your loan at any point of time after payment of first three installments and there are no prepayment charges. In case, you wish to prepay anytime during the first three months from the start date of your first EMI, you may do so by paying the interest due to the lenders for a period of 3 months from the date of disbursal. For example, if you have taken a loan on January 1, 2017 and had paid one EMI and on February 20, 2017, you decide to prepay the loan, then you can do so by paying the outstanding principal along with interest for February and March. What Is The Monthly Repayment Date? The monthly repayment date will be driven by the frequency of the payment cycle. For those paying single EMI in a month, the repayment date will be 10th of every month. For those paying by-weekly, it will be 10th and 21st day of the month. How Long Does It Take To Transfer The Money Into The Borrower’s Account? How Will The Transfer Happen? Loan amount will be transferred from the escrow account to the bank account provided by you during registration. What Are The Channels Of repayment? Any other mode of repayment permissible by RBI or Indian laws. Can I Set A Different Interest Rate For Different Investors funding My Loan? No, borrowers must pay the same interest rate to every investor funding the same loan. Can A Borrower Increase The Interest Rate Offered In The Initial Proposal? Yes. The borrower can request for a change in the interest rate offered in the initial proposal to attract more investors. The revised interest rates will be applicable to all the existing as well as new investors for that amount. Can I Get My Credit Report From OMLP2P? OMLP2P does not provide any credit bureau reports. What parameters does OMLp2p use to verify or check credit-worthiness? Is there any physical verification? Yes. We do physical verification as part of the KYC (know your customer) process. Does providing references or guarantor help? How long does it take for my loan to get listed? It takes as little as 30 minutes for the loan to get listedon the OMLp2p platform after the registration process is completed and required documents are submitted.However, depending upon the adequacy of the credit risk information provided by the borrower, in some cases, it may take up to three working days. How long does it take to find an investor? OMLp2p has a huge investor base. Once the loan gets listed, we expect the funding to happen within 10 business days from the date of listing. However, sometimes due to the peculiarity of the borrower profile not matching investors’ expectations, it may take more time. Accordingly, to facilitate borrowers and their requirements, once listed, we allow the loan to continue to be listed for 30 days.Within this period, different investors can bid for the loan. What will make my profile strong? Why was my loan not funded? Is the loan facilitated through OMLp2p a secured loan? Is any collateral needed? OMLp2p offers unsecured loans online and does not require any collateral. However, a guarantor is welcome. In the near future, the platform may start facilitating the secured loan product also. What happens in case of delay or non-payment of EMIs by a borrower? I have defaulted on loan payments before or banks/financial institutions have rejected my loan application earlier. Can I borrow through OMLp2p? Yes, you can.OMLp2p has its own proprietary credit scoring model on which eligibility is calculated. If any such borrower is found to be eligible on our credit score and detailed credit risk assessment, we allow them to enlist their requirements on the platform for funding. However, any past default/late repayment will weaken the credit scoring of the borrower.It is always advisable in the interest of the borrower to remain active in repaying their loan instalments on time without delay or default to enhance their chances of getting better terms, including lower interest rate. While applying for a loan through OMLp2p, you are required to make a detailed disclosure of: (i) the reasons for the rejection of loans previously applied by you (if any) (ii) the circumstances which caused the default on the loanpayments, and provide supporting documents for accurate assessment. How is the repayment calculated? Repayments or EMIs are calculated using the reducing balance on the monthly basis method. Can anyone view my personal contact details on the site? At OMLp2p, we take utmost care to ensure privacy of our borrowers. OMLp2p believes in trust and transparency.Hence, there are no hidden charges. Can I change the amount I want to borrow after my loan has been listed? Yes, you can change the amount of your loan before your loan is committed by any investor(s). However, you cannot change the amount once 100% loan amount has been committed by investor(s). Can My Loan Request Be Terminated After It Has Been Listed? Yes, OMLP2P reserves absolute rights to refuse the listing of any loan or remove the listing at any point of time, if they feel it is so required in the interest of the platform or the investors. Generally, this happens when the platform discovers any misleading or fraudulent data. Am I Allowed To Cancel Or Withdraw My Loan Application? Yes, you may cancel your loan application or withdraw the same before 100% of the loan amount is committed by the lender/s. If you wish to cancel your application after signing the loan agreement but before the disbursal process, you will need to pay a processing fee of Rs. 1,000/-; towards incidental handling and documentation charges. If you wish to cancel the loan after loan disbursal, you must pay back the entire loan amount. How Do I Change My Bank Details Or Set Up A New NACH? Please make the changes in the bank details given on your profile page. We will verify the new bank account details and make necessary changes in your profile page. A convenience fee of Rs. 1000/- will be charged; towards incidental handling and documentation charges. Can I Register Both As A Investor And A Borrower? As of now, we are allowing an individual to register either as a borrower or as a investor only at any given point of time. Simultaneous registration as a borrower and investor is not possible. Why Does OMLP2P Require Access To My Bank Account? OML requires view-right access to your bank account to verify validity of your bank account and to verify NACH mandate. (We strictly don’t ask for any transaction rights or password – Please don’t share the same in any circumstances). Your bank view access details is strictly for reading purpose only. Alternatively, you can upload bank statements (Salaried person – 3 months and all others - 12 months). Should I Share My Bank’s Credentials? What Is The Eligibility To Be A Borrower On OMLP2P? Should be above 18 years of age and capable of entering into a legal contract as per the Indian Contract Act. Needs to have a valid Bank Account, Aadhaar Card and a valid PAN number. Needs to be an Indian citizen and resident of India. A guarantor will have rights and obligations like a borrower. A guarantor is likely to help the borrower get better loan terms e.g., lower rate of interest, higher amount and help in getting a quick loan. Yes, you can apply for more than one loan. Can A Non-Individual Borrow Through OMLP2P? Yes, even a non-individual can apply for a loan through OML. The entity should have a valid PAN card and Bank account. A loan agreement is a legally binding and enforceable document between the borrower(s) and the investor(s). The agreement is signed after paying requisite stamp duty to make it legally enforceable. Each party is bound by it. What If Some Of The Investors Back Out On The Obligation To Fund The Loan? OMLP2P will carry out adequate due diligence on the borrowers and lenders to facilitate adequate funding on the platform. OMLP2P will impose a severe penalty on that investor. OMLP2P will also put in all possible efforts to bring in other investors to fund the remaining amount. In case no new investors can be found, OML will refund the processing fees on the unfunded amount as per terms and conditions. What happens to the loan in case of closure of OMLp2p due to any reasons? The loan is between the borrower and the investors, and hence, it will stand as it is. Borrowers will be obliged to repay the investors. What If My Complaints Are Not Resolved By the Customer Service Departments? If your grievance/complaint about our services is not addressed within 31 days of your logging in the complaint, you may kindly escalate and appeal to the Customer Education and Protection Department of the RBI.